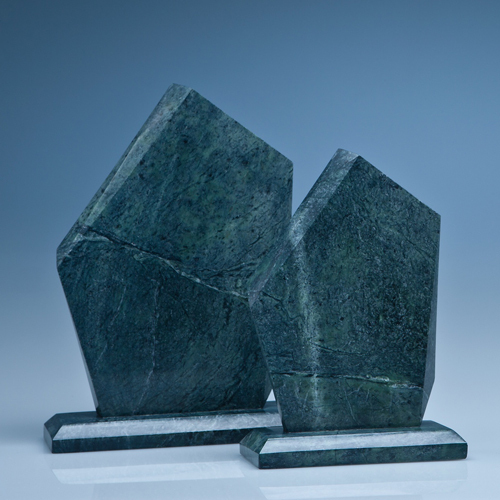 The stylish 20cm Ice Peak has been hand crafted from green marble and makes an ideal recognition, achievement or incentive award. There is a large engraving area that can be personalised with any crest, logo or wording to create an award that is sure to take pride of place when put on display at home or at work. The engraving contrasts perfectly against the green marble when infilled in gold or silver for which there is an additional charge. Gift Boxed.